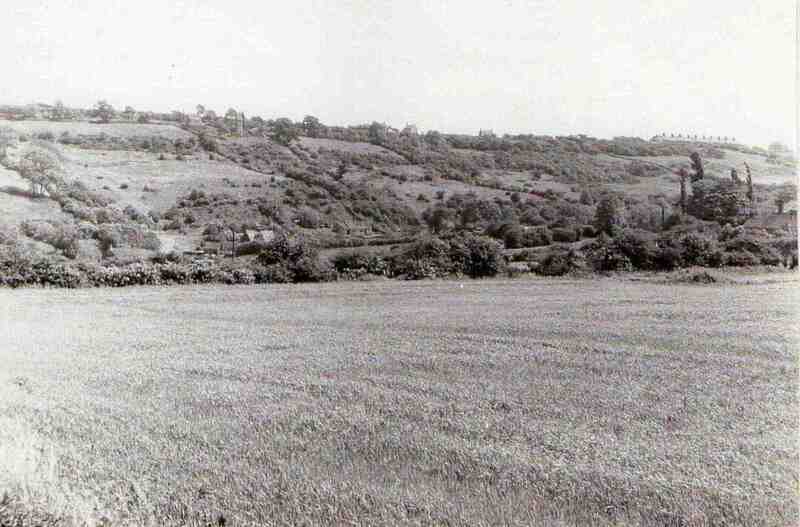 ‘The Bottoms’ taken from Cliff’s House, Ashley Lane. Row at High Moor in top right. Photo courtesy of V. Hopkinson. The houses in the bottom left are at the foot of Long Lane leading from Church Lane onto High Moor. The hillside to the right of the houses and behind them were excellent places for blackberrying!